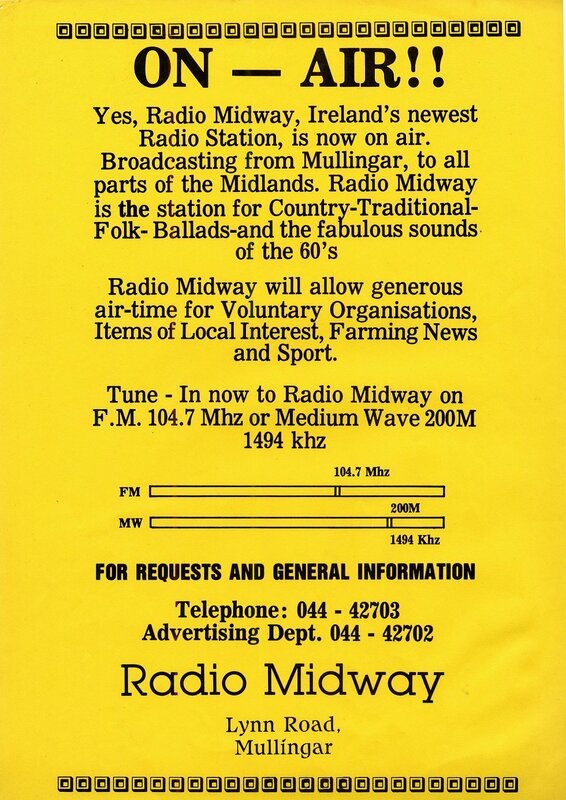 MIDWAY RADIO was relatively short lived, compared to Radio West, the other station in Mullingar. 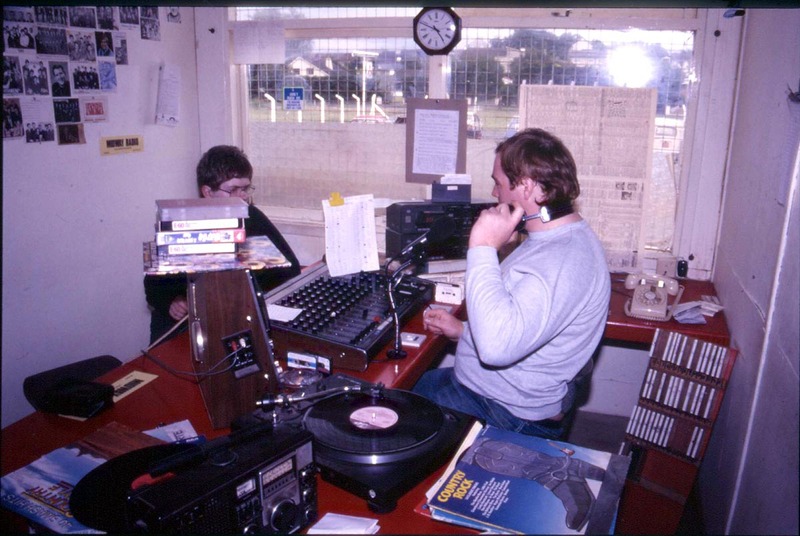 The station was more easily heard in the UK on their initial frequency on 1494. 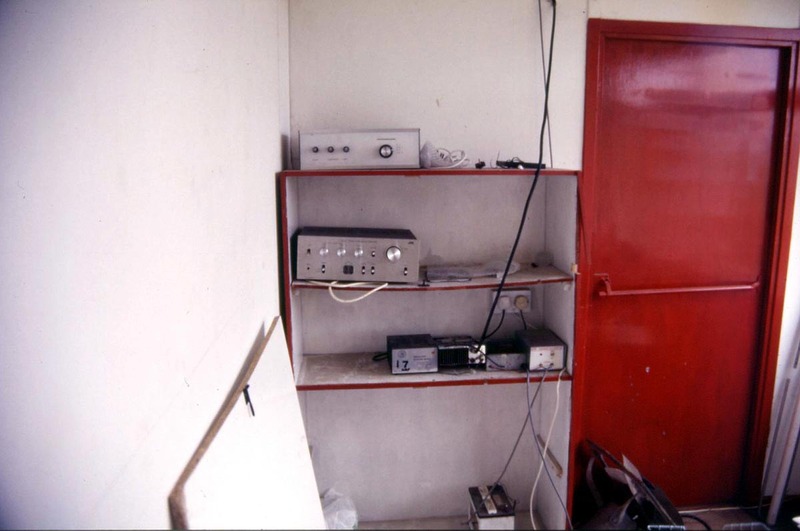 When they shifted to mid band 999kHz, ILR activity in Britain made reception more difficult. Steve West had some photos taken in both 1986 and in 1987. 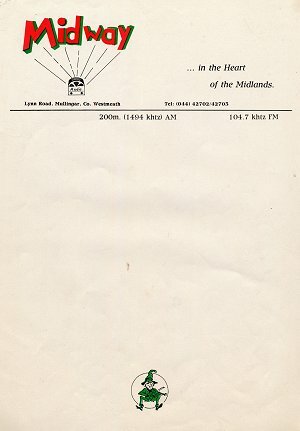 The above two sheets were picked up at the station in 1986 during a visit to Ireland. 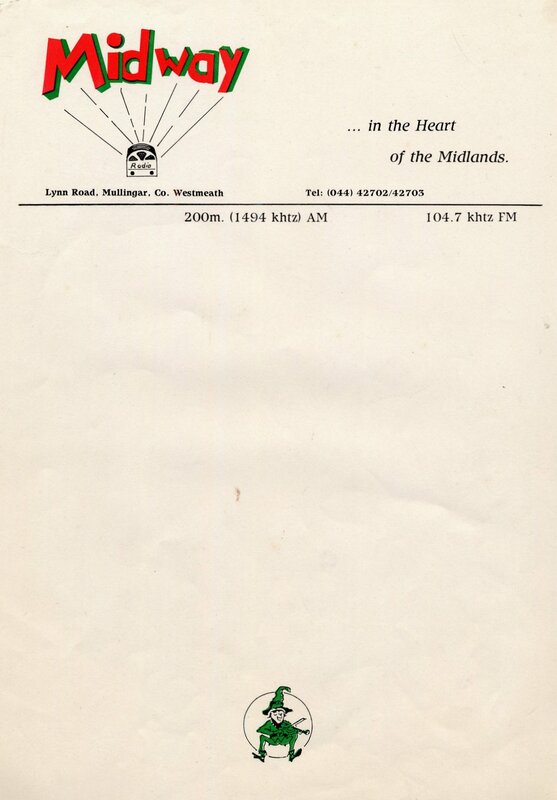 The headed notepaper as can be seen on the high res version, is for the initial 1494kHz frequency. 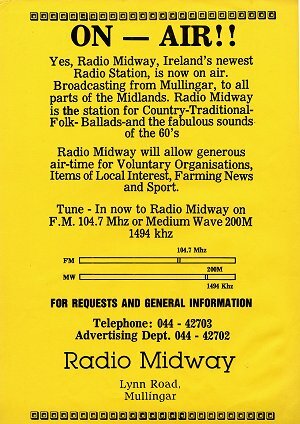 The location of Midway Radio was O'Brien's Garage, Lynn Road, Mullingar. 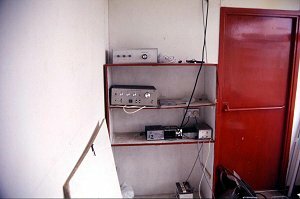 The studio was in the complex beside the garage. 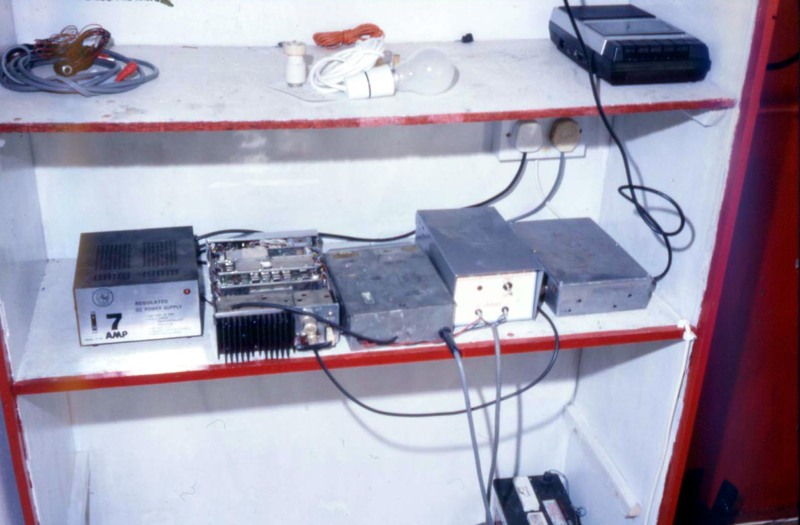 There was no sign of the MW transmitter on visits to the station. 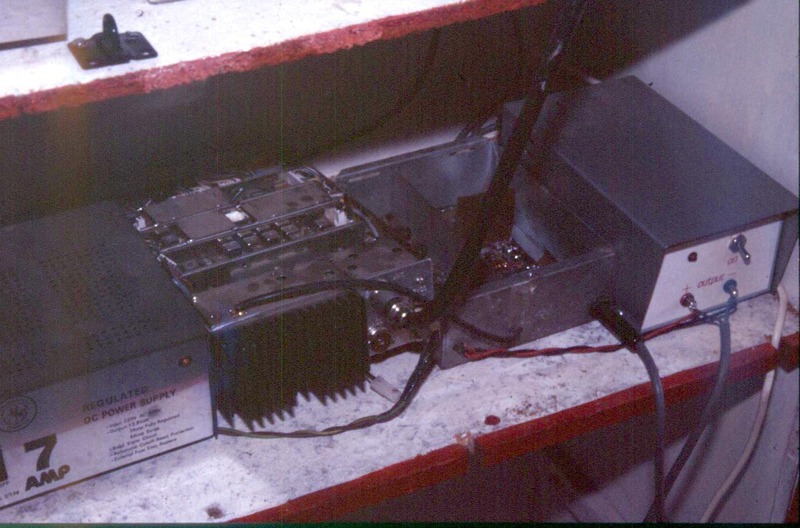 It must have been out of town, at a more remote location. 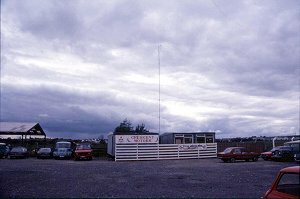 The photo of the location on the left was taken in 1987. The unknown presenter on the right was taken during a visit in 1986. Three shots of the transmitter for local coverage on FM. 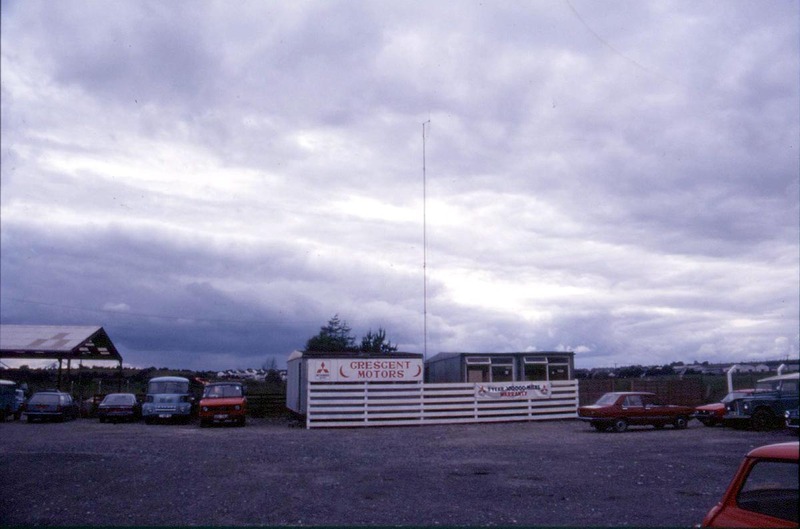 Right image taken in 1986, and the other two taken during a visit to Mullingar the following year. 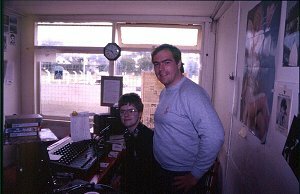 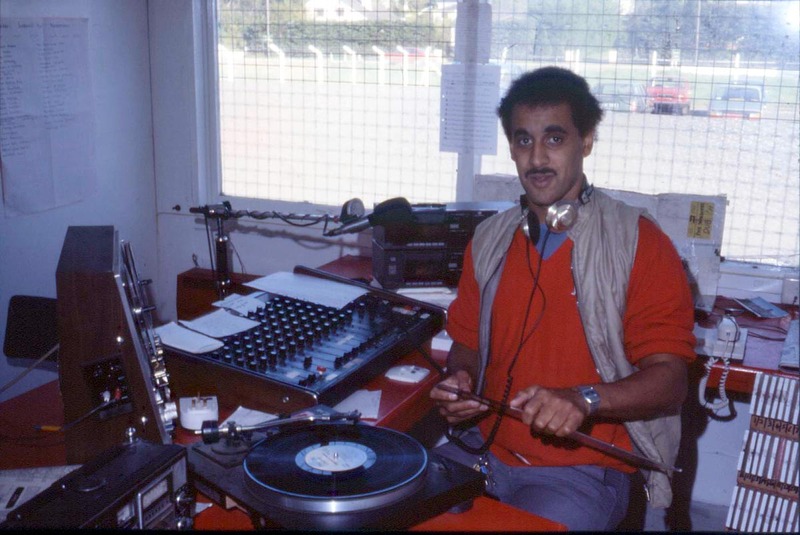 Midway Radio studio, taken during Steve West's tours of Ireland in 1987.